The rainy season is here in full force! It has been very stormy and windy here in Northern California for over a week. 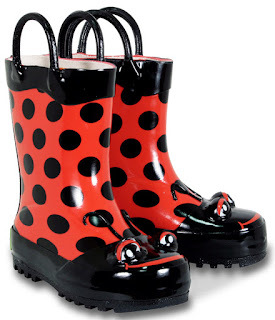 The need for a rain coat, rains boots and an umbrella is a must! My son is a huge Thomas the Train fan. 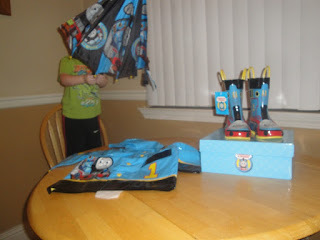 We have a bunch of toys, movies and clothing that are Thomas. 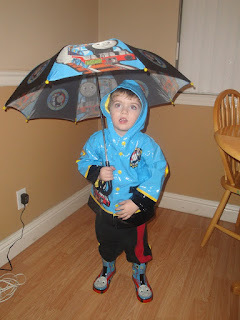 I knew my son would love Thomas the Tank® rain gear. 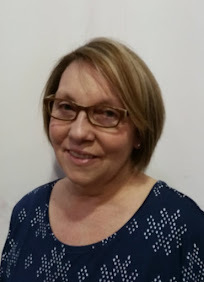 I have heard about a company out of Washington state (where Sam and Patricia live!) that makes super cute rain gear for kids, Western Chief. 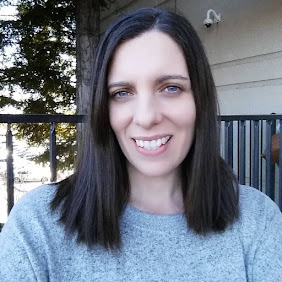 I am always looking for companies that are based in CA or WA to support the two states I love! When my son saw the Thomas the Tank® items he squealed with joy! 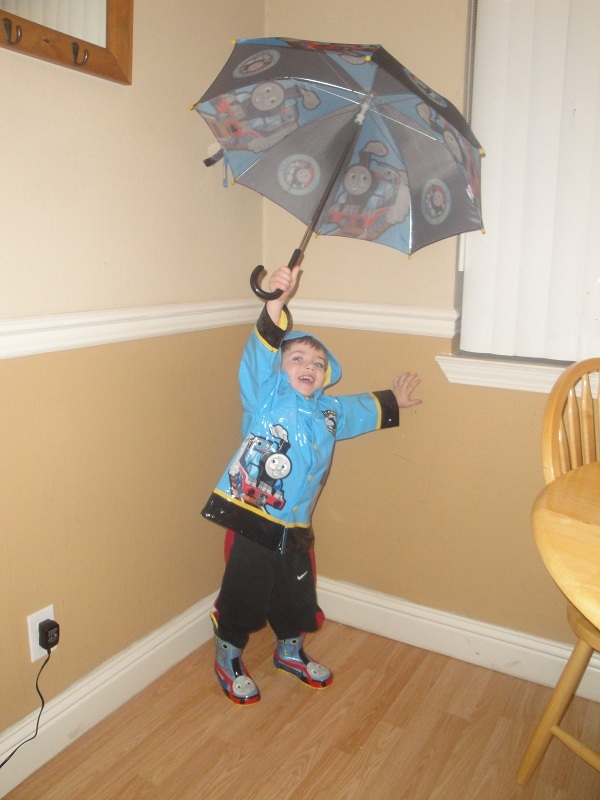 He loves Thomas and was of course showing off his best choo choo as he stomped around in his new rain gear. 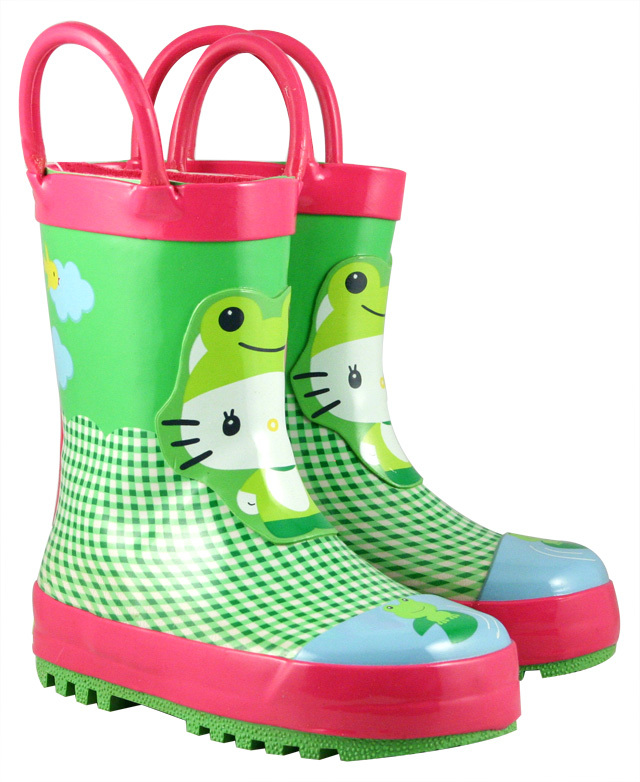 The rain boots are very durable, they run a tad big which I think is great so my son can wear them well into the Spring rainy season. Kids feet grow so fast too! Western Chief also has fleece boot liners that go inside the boots to keep little toes warm and dry. We have jumped in many puddles, waded through ankle deep water and stayed dry. The best part about the raincoat other than how cute it is, the fact that the the rain coat is lined. This adds an extra layer of warmth to the coat that most rain coats do not have. My son can wear the coat in the Spring rains too with a tshirt and jeans while staying warm and dry. Washington Shoe Company was founded in Seattle in 1891 to produce rugged outdoor boots designed to meet the harsh conditions of the Alaska Gold Rush. 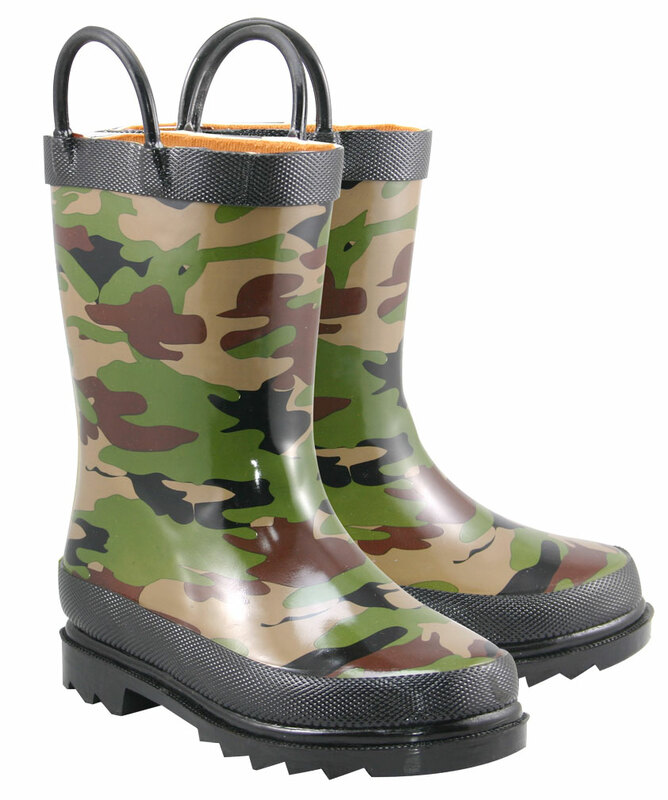 Today, Washington Shoe Company is committed to providing retail distributors with the same high quality, rugged work footwear along with durable, fashionable and fun rain gear. The Western Chief Brand is designed to meet and exceed the demands of today's work place while providing comfort and durability, at a reasonable cost. 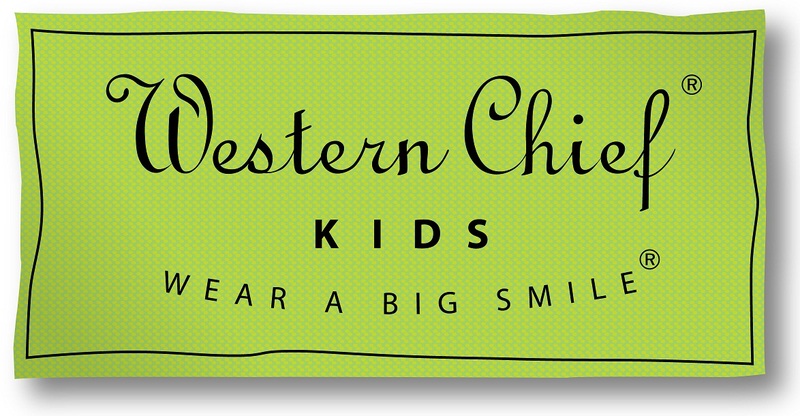 Western Chief kids is available at Amazon.com and Nordstom. Rain gear makes a perfect Holiday Gift for the child in your life. 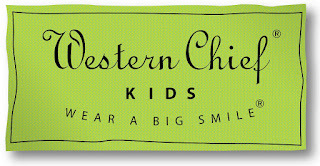 Western Chief makes many different styles and characters that any kid would love to unwrap on Christmas or like my son for his birthday that happens close to the holiday season. Western Chief makes has rain boots, rain coats and umbrellas. 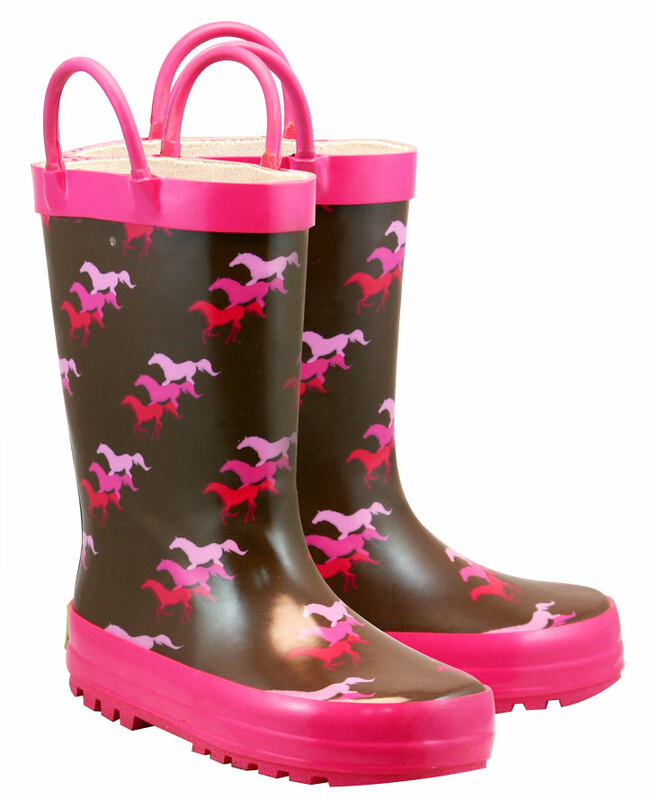 To introduce you to Western Chief we are offering a giveaway for a pair of rain boots of the winner's choice of the 6 styles shown below for your little one. *Limited to US residents 18 years old and above. Giveaway starts Dec 3, 2012 and ends on Dec.15, 2012 at 12:01 am PST. Winner will be emailed and has 72 hours to respond before another winner is selected. I was not paid for this giveaway or post. The opinions on this item are 100% mine and may vary from others. The sponsor is responsible for providing the prize. I was sent an item to review for this post. Thomas for sure! My son loves Thomas! I would probably choose Thomas the Train for my grandson! 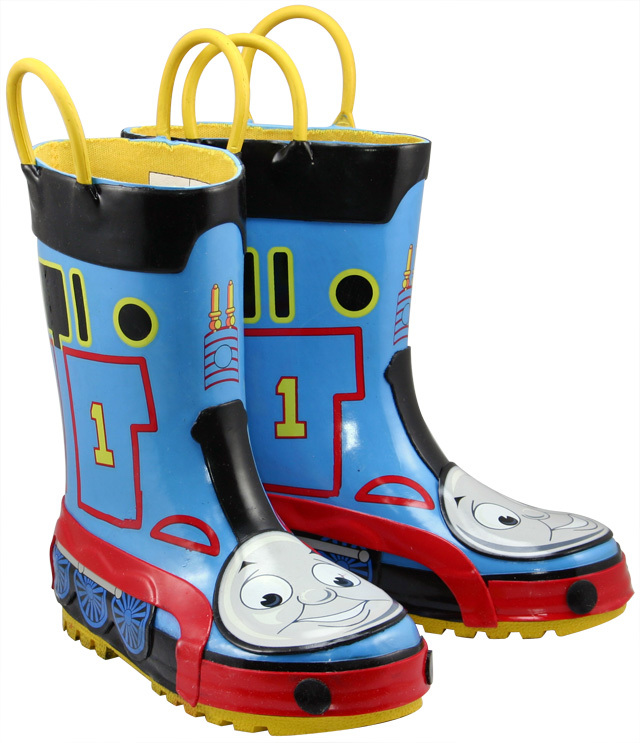 My son would LOVE Thomas the Train!!! I would pick the pink and green frog/Hello Kitty boots for my daughter; she would just love those! Thomas for my little guy. My son loves Thomas, so I would choose Thomas the Train. The Thomas the tank engine ones are too cute!! 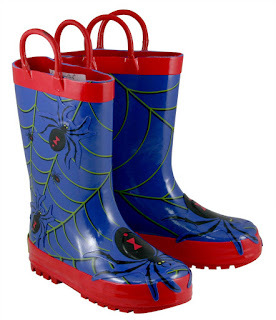 Would be so nice for my youngest boy!